All of our hard copy books are available on a donation basis as far as resources allow. I count myself as no “expert” in Bible study. I am just someone who was clearly convicted by the Holy Spirit to just simply begin about halfway through my time at seminary. It wasn’t for class assignment, it was just for Him. Just me getting into the Word to know Jesus and let Him change me. I can attribute every good thing in my life over these past 27 years to Him and His Word. What you are seeing in this small “guide” is simply my attempt to take my process that I go through and to share it with you. It is not THE way. It is just A way, though I believe what we share here are some important fundamentals for Bible study no matter how you go about it. The following is a basic presentation of the three main steps of any Bible study: Observation, Interpretation, and Application. It is crucial that Bible study takes place in order in these three steps, lest our interpretation or application become merely our own thoughts rather than being the message intended by the original author as inspired by the Holy Spirit. The following is a simple way in which to understand these steps and what is involved in each of them. Step III, Interpretation, additionally offers a way in which to organize one’s conclusions and present the truth which has been revealed through the Word if one would have the desire to present or share those findings. I pray for you as you enter this process. Remember, it is all about Him. Please don’t be distracted with the “how.” Instead, get caught up in the “Who,” and you will find Him revealing Himself to you in ways you did not expect, and your life will be changed. ​This is the body of Christ. It is more than just an assembly of individuals. It is the demonstration of Jesus in a supernatural reality --- something "more than the sum of the parts" --- that conveys a beauty and grace that is not of this world. I don’t know about you, but I believe this is needed in our day more than ever. It is why the New Testament, including 1 Corinthians 12, emphasizes so much about the body of Christ and how we function together in it. We live in a day of the "fantastic." Everything is hyperbole, and we constantly seek higher highs in almost every area of life. The world is thirsty for something truly "amazing." I am convinced more than ever by the Word of God that this is not only possible and needed, but it is to be expected when people respond to Jesus together. Instead of trying to parallel the world and seek the fantastic in what we can design or produce in the church, what if we just really seek Jesus together and let Him be revealed through His body? There has been nothing more spectacular in all of human history than that. I am ready to seek Him with you and let Him do that in our day. Jude’s letter to the church in his day was a call for revival. But this was not a call to an event or to specially scheduled services. It was a call to a posture of the heart. Revival is His powerful working among us in a spirit of seeking and responding to Jesus at all costs. There is a hunger and desperation in it. It is the kind of attitude and focus that continually asks the question, ‘Jesus, what do You desire to do in me? What new or deeper level of engagement with You do You want to take me to?’ While a special event or services might help encourage this, it is really something that the Spirit of Jesus has to do in our hearts. Revival is about ‘the eyes of your understanding being enlightened (Ephesians 1:18).’ That’s why Jude’s letter is an urgent call back to Jesus and His Word, and a call to recognize the spiritual battle going on around us. ‘Beloved, let’s get back to Him and the truth! Everything depends upon this!’ . . . As we will go on to discuss in the introduction, the highly encouraging thing about it is if revival is simply this responding to Him, then it means that His moving can really happen in us today, and it can take place from now until Jesus comes again! While I have always had a deep appreciation for the Lord’s Supper and have experienced God’s grace through this sacrament, He has opened my eyes in a new way to what it is all about through this study of 1 Corinthians 11:17-34. In the Lord’s Supper we are recognizing and responding to Jesus’ reality and His gracious offer of “communion” with Him as He lives in us and through us. The same Jesus who walked among the disciples and shared in that Last Supper with them, the same who died and rose again, the same who sent His Spirit to live within us, the same who is coming again . . . this is He who offers Himself and His new work of grace in our lives each and every time we eat of the bread and drink of the cup. It is our overwhelming privilege and blessing to just receive this gift of His life and to allow Him to work in us. The question to us all is really the same as it was to those Corinthians: “Will I respond to His invitation of communion with Him, allowing Jesus to live in me and to demonstrate Himself through me?” This is the gracious offer of the Lord’s Supper. And for everyone who will simply respond to Him, there is the reality of Jesus that can cause us to say, “Wow, this is who Jesus is and what heaven will be like.” Surely that is the great need of our world and the body of Christ for such a time as this. There is no replacing some of the classic daily devotionals, such as My Utmost for His Highest or Spurgeon’s Morning and Evening. My own life has been deeply impacted by the deep and powerful truths contained in these works. LifeMessage 365 is a different kind of devotional. Its intent is to facilitate those who are seeking to know Jesus Christ through a daily immersion in God’s Word. To do this, we will walk day-by-day, for an entire year, in just three passages of scripture: John chapter 15, 1 Corinthians 10:1-13, and the letter to Philemon. Yes, you read that correctly! The purpose of this is to not only mine the truth of these passages, but to also offer an example of how a daily soaking in the Word might become a pattern for a lifetime of Bible study. A key to victory, whether in sports, raising children, or virtually any area in life, often lies in the daily practice of and attention to fundamentals: those seemingly simple matters that bear repeating and remembering often. As we plunge in these passages for weeks and months, some key fundamentals of relationship with Jesus Christ will be emphasized, repeated, and remembered day-by-day. This devotional might not be for everyone. But for anyone seeking to be immersed in the Word and desiring an extended “training camp” in walking daily with Jesus, I invite you to join me in allowing the message to become our life and our lives to become the message . . . 24/7 and 365. What Paul left behind for Timothy is the message and focus for every Christian for all times. As we will share in chapter 1, the simple image and admonition of this letter is to "keep the flame." No matter what, stay focused on Jesus. Let Him be the consuming passion of your life, wherever you are. Whatever is happening around you, respond to Him with all your heart. Let the fire of His presence continue to burn in you. Your survival depends upon it. At all costs, keep the flame and constantly attend to the relationship with Him. This was not simply a message for Paul; it was his life. It was Jesus that carried him through his own dark and cold days in a dungeon, as He did through the multitude of incidents we read about in Acts and the epistles. In this way, 2 Timothy is both a testimony and an invitation. It is evidence that Jesus can keep the fire alive in a man’s heart in the midst of any pit. It is a call and invitation for us to keep the flame of Jesus in our lives and to help hold the light for others in these days. Wherever you find yourself today ---wherever He has placed you --- would you keep the flame with us? It is not a thing, a doctrine, or a set of standards. Holiness is simply the nature of Jesus Christ being produced in our lives so that He may demonstrate Himself in everything we say, do, and are. In the closing passage of 1 Corinthians 10, Paul crystallizes a simple principle that is indispensable for evangelism and discipleship for all times: revival leads to holiness, which then leads to evangelism. The revelation of His holiness through us in everyday life is God’s plan for winning people to Jesus and making disciples. This has never been more crucial than in the challenging days we face in our culture. There are no shortcuts, and holiness matters as much now as it ever has. Have you ever realized that you have been distracted from Jesus and His presence in your life? Has His Word ever slipped onto the back burner or been forgotten in favor of seemingly more pressing things? Have you ever found yourself being caught up in things that may seem acceptable in our culture, yet really pose a spiritual danger? Have you ever felt a deep and urgent sense that you just needed an awakening in your spiritual life? This was the reason for the Apostle Paul writing a letter to a group of Christians in ancient Corinth who were experiencing the same dynamic. 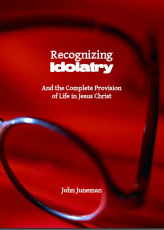 In the 10th chapter, we find essentials for revival and spiritual awakening that apply to all Christians of all times. It is not a formula. It is more than an emotional high. It goes far beyond any conference or series of special services. Spiritual awakening comes in an earnest, urgent, and ongoing response to the Person of Jesus Christ and what He desires to do in our lives. The best news is that it does not need to be temporary or short lived. It is an entire lifestyle into which He desires to bring us --- an ongoing and ever increasing knowledge of Him. This is the greatest need of my life. It is the greatest need of my family. It is the greatest need of our nation. 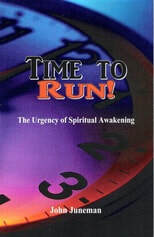 For all those who seek a spiritual awakening, it is time to run! I was not prepared for the startling truth of the book of Philemon and how it would shake my life. The deep affection and intimacy of relationship. The partnership and sense of connection. The manner of valuing every person, through word and action. These are the bold features that leap off of a one-page letter from Paul to a “beloved friend.” The message is simple, yet beautifully profound: God’s plan is all about relationships, and Jesus wants to share the message of the gospel through our lives as well as our words. 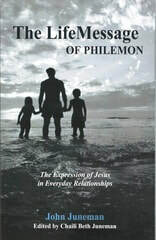 Philemon presents us with a picture of relationship as God designed for us to have with Him and with one another. 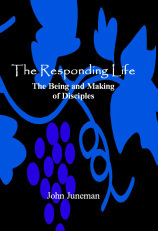 The most staggering realization for me was to see that this is merely a “snapshot” of Paul’s life and how Jesus works. What we see in the letter to Philemon is not an exception, but the norm of what He desires to be in all of us right where we live. It is the expression of Jesus in everyday relationships. Would I allow Him to be this in me? Would I allow Him to radically alter the ways I relate to people? Would I allow Him to make my life and relationships to be His message? An aged Apostle under Roman guard, yet a prisoner of Jesus Christ. A runaway slave who has accepted this Jesus. The faithful and risky step of now sending him back to his master. This is real life, and the backdrop for Paul’s letter to Philemon. This is Paul seen as he really is in the writing of this personal letter to his friend, urging him to receive this slave back as more than a slave --- but as “a beloved brother.” This is a “snapshot” of the everyday life of the Apostle --- what Christianity looks like wearing sweats and a ball cap. 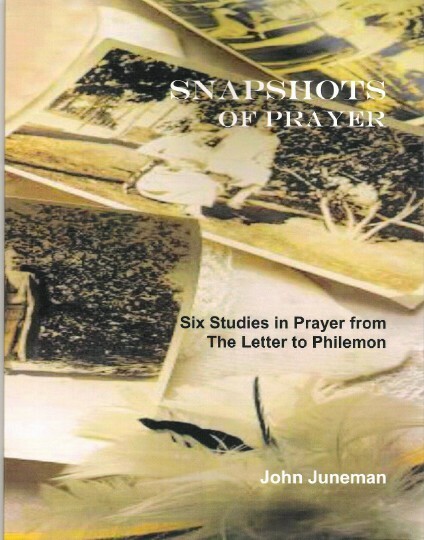 These six studies in Philemon verses 4-6 show us what prayer looks like in real life. It is prayer that is beyond knowing the right words to say or “doing it right.” It is just the simple prayer of a man who is overwhelmed with the love of Jesus for this fellow brother, Philemon. It reveals something inside of Paul that is real. It is something that works whether in Sunday best or in sweats and a ball cap. These studies are for anyone seeking to know Jesus more and who desires for prayer to be something more real in the everyday of life --- in the “snapshots” of where we live and who we really are. "Have you ever questioned why Jesus had to die to save you from your sin? Have you wondered why a loving heavenly Father would punish His innocent Son in your place? Would you like to have a deeper understanding of Jesus' atoning sacrifice and how it applies to your life? If so, Cross Purposes is the book for you! Cross Purposes examines the basis and purpose for Jesus' atoning work on the cross. Arguing against the notion that Jesus died so we could be forgiven, this book suggests that Jesus dies so we could embrace the forgiveness we already have! Firmly rooted in Scripture and faithful to the understanding of the earliest Christians, this work takes issue with the judicial view of the cross that is so prevalent in today's Western church culture. Instead, Cross Purposes offers a very relational and hopeful perspective that will transform your understanding of the atonement. Written in a clear, straightforward style and complete with discussion questions for small group reflection, Cross Purposes invites you to sit down with a warm beverage and revel in the incredible fact that you are deeply loved by God."